A sporty tee with graphic tights. 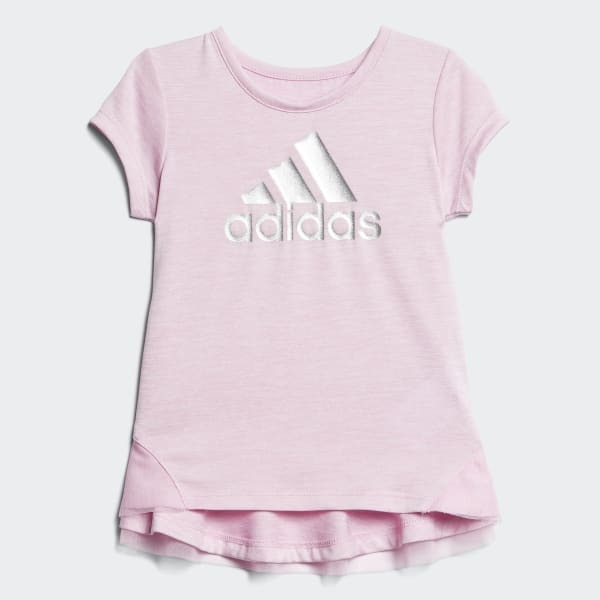 This toddler girls' casual set keeps her comfy on school days or weekend playdates. The soft jersey t-shirt has a twirly hem. It comes with stretchy capri tights that let her climb and jump.